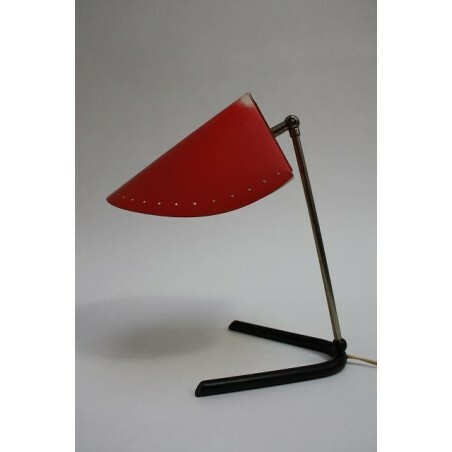 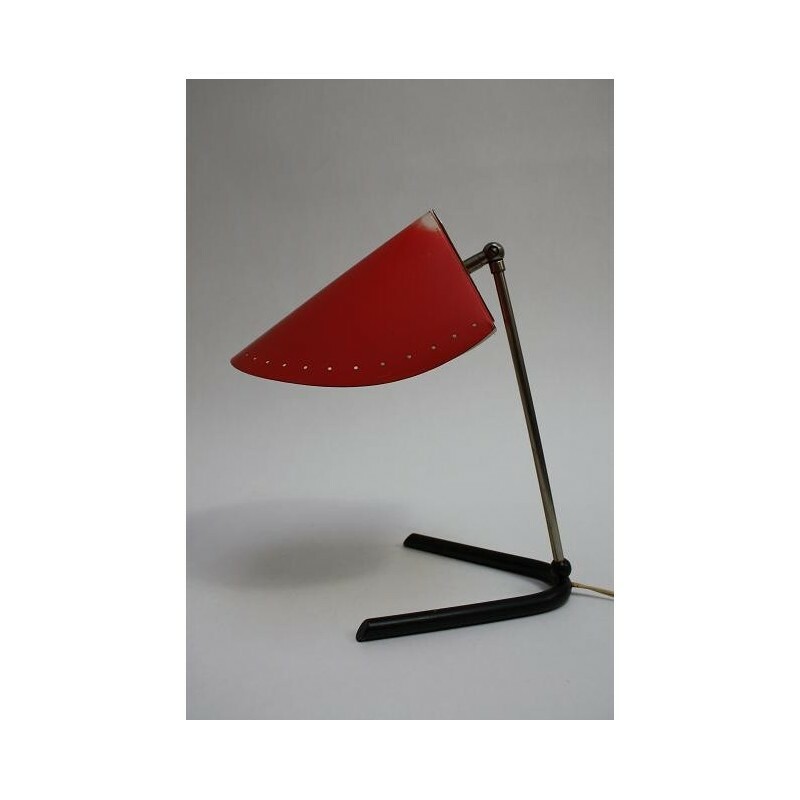 Rare table or desk lamp from the fifties. 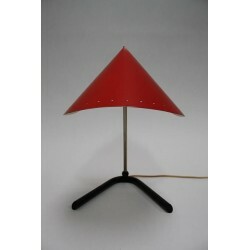 The lamp has a red cap and a black base, Traces of use on the top ( see detailed picture). The lamp is in a good total condtion. 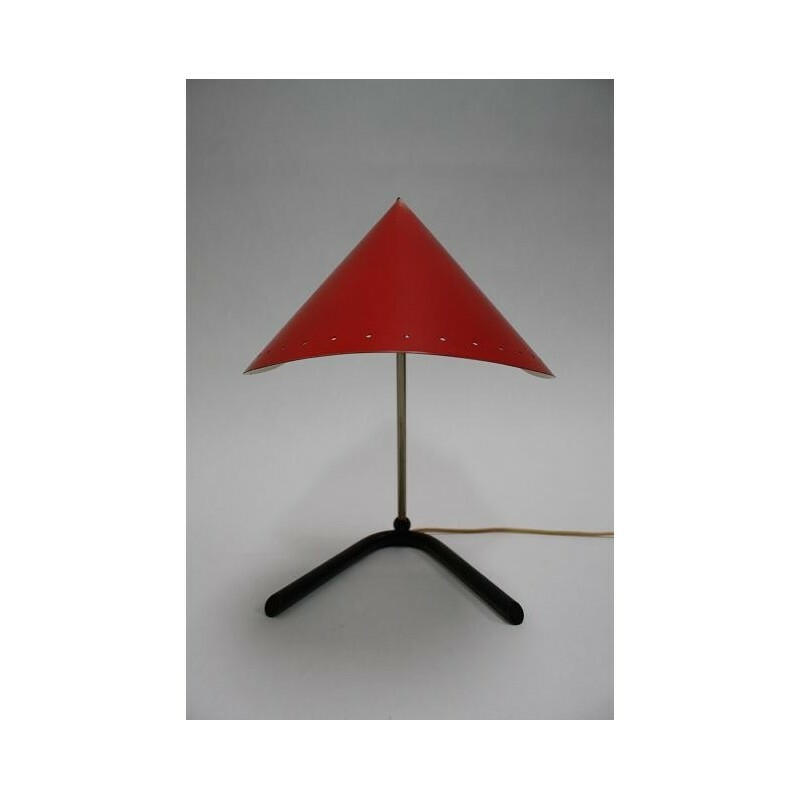 The dimension is 36,5 cm high, 22 cm wide and 24 cm long.